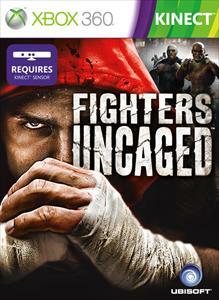 Fighters Uncaged is out NOW! Watch the brand new launch trailer. Charge head first into the vicious world of illegal free fighting tournaments, where you will use every muscle in your body to fight your way to the top. Forced into a secret tournament, Simon must use what he learnt from his father, an ex-boxing champ as he faces off against violent combatants who will brutally unleash a range of mixed martial arts attacks to take him down. No guns. No blades. Your body is the deadly weapon!